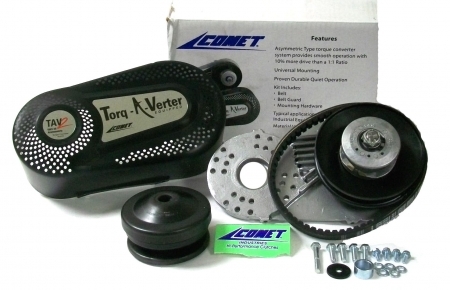 This is an asymmetrical type torque converter system which means the sheave faces are non-symmetrical. They have different angles. In this case, the moveable sheave face is 18" while the stationary sheave face is 2-1/2" for a collective angle of 20-1/2". Here are some reasons for selecting the asymmetrical concept. 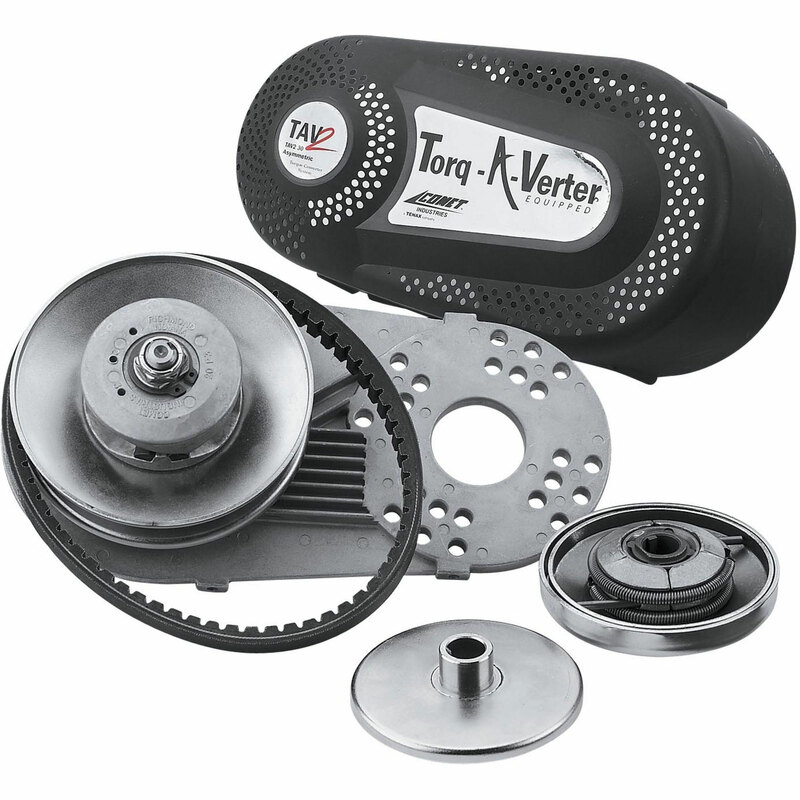 The Torque-A-Verter can attain an .90:1 or 10% overdrive. I bought this TAV a year ago now for my Yerf Dog 3203 and is still running strong! I'm still using the original belt even after excessive use! I highly recommend this product to anyone! Q: How big is the package? how much does it weigh? Q: Does this item fit the Harbor freight 212cc OHV Horizontal shaft engine #Predator Engines - item#69730 or the predator item#60363?